Last week I attended Kansas City Public Library’s Mock Newbery awards which basically looks like this: a bunch of librarians nerd out about a selection of books, then we vote on which one we believe is worthy of top honors. The criteria for the Newbery Award are just vague enough that a lot is left open to interpretation. For example, if a book contains illustrations, it is only to be considered if they detract from the book, not enhance it. 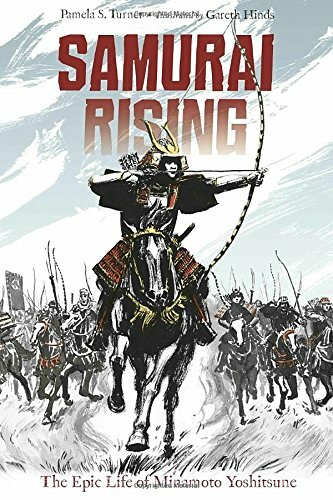 If you want to learn the history of Japanese samurai without ever having to read a history book, Samurai Rising: The Epic Life of Minamoto Yoshitsune is the book for you. Ridiculously well researched and beautifully written, Pamela Turner takes you on a journey into 12th Century Japan that is contextualized and rich in detail. Minamoto Yoshitsune is the rockstar of samurai; still fully entrenched in modern Japanese culture, Yoshitsune is the epitome of what it means to be a samurai: fierce, clever, fearless. Turner brings a long-dead epic historical figure and era to life effortlessly. Just please go pick up this book. 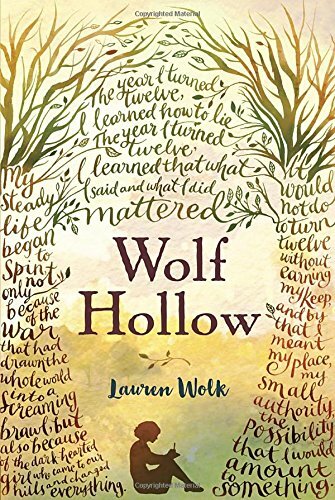 Haunting and vivid, you’ll feel like you’ve fallen into 1940s Pennsylvania within sentences of starting Wolf Hollow by Lauren Wolk. Protagonist Annabelle’s peaceful town of Wolf Hollow is sent into a tailspin when Betty Glengarry moves to town. Annabelle falls prey to Betty’s mean streak and as one act of bullying is followed by escalating cruelty, Annabelle knows she has to take a stand. Betty targets Toby, a WWI veteran, as her scapegoat, but Annabelle knows Toby’s kindness, and she refuses to let Betty to heap her crimes upon strange, quiet Toby. Annabelle’s world is well-formed and beautifully described. Her heart and pluck immediately put her on the level of other literary heroines, and this book has widely been described by book critics as an “instant classic” and “reminiscent of To Kill a Mockingbird.” There’s a considerable about of hype, but Wolf Hollow lives up to it. 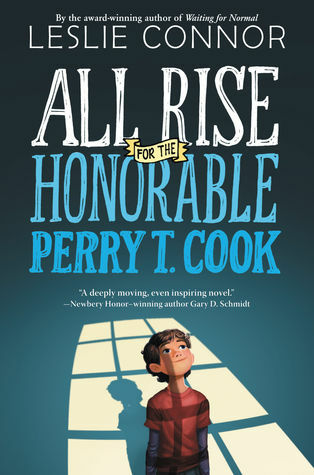 I’m flagging All Rise for the Honorable Perry T. Cook by Leslie Connor as the underdog that wins it all! Of course I have no track record in guessing correct winners; I’m no Paul the Octopus. But this novel gave me all the feels. I can count on one hand the number of books that have made me cry, and the happy tears you’ll be shedding at the end of Perry’s story will be completely warranted; welcome to the club. Perry and his mom have always been together, which is normal for a mother and son, but their circumstances are anything but. Perry grew up in a correctional facility: he goes to school, eats in the mess hall, and he enjoys rec time with his mother and the other inmates. When a new District Attorney gets wind of Perry’s situation, living like a prisoner, Perry is forced into a foster home and public school. Determined to get back to his mom and the life he knows, Perry researches her crime and uncovers long-buried truths about life and love. Sounds intense, right? I love that this book also meditates on what it means to be a family and subtly pokes at the flaws in our justice system. Oh wait! There’s one more! 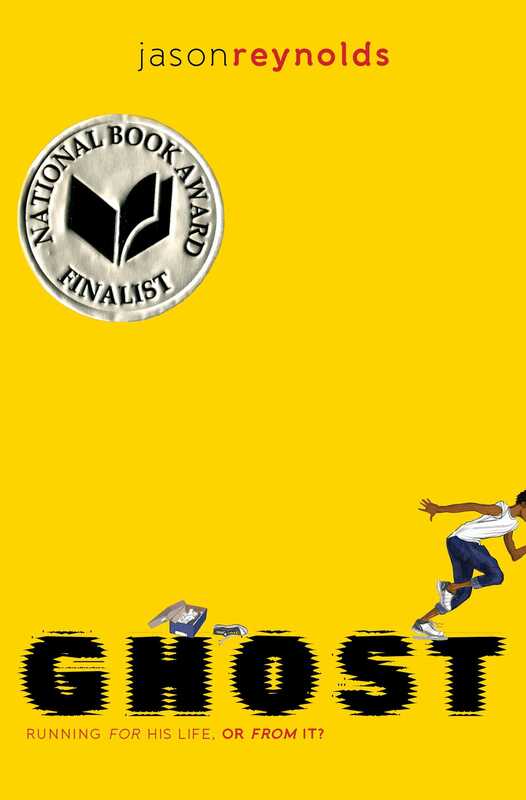 Ghost by Jason Reynolds won the Mock Newbery at KCPL last week. I didn’t include it in my summary above because it did not hook into my soul like some of the others. That being said, this book has ALL the buzz and could rack up a Michael Phelpsian pile of awards. Castle Crenshaw has had a rocky go of it: he’s picked on at school, his parents have split, and money is tight. But Castle aka Ghost is fast. After running for his life, Ghost has acquired a “scream inside him” and speed which attracts the eye of the coach of the local track club. Ghost soon finds out that running isn’t only for getting away from your problems. If none of these books sound like your cup of tea, then do me a favor and skim through the past Newbery Medalists and the Newbery Honor Award winners. I guarantee you’ll be reunited with an old favorite from your childhood, or you’ll stumble across a great piece of literature that will floor you with its depth and excellence. Though I hoped Perry T. Cook would pull off the win, The Newbery Award of 2017 ended up going to The Girl Who Drank the Moon by Kelly Barnhill, a fairy tale coming of age story about magic and mistaken identity. Read about the full list of awards at the American Library Association.